The Hajj, it is a preparation, it is a rehearsal for dying, leaving this world, and meeting with Allah swt. When a person goes on Hajj, he puts on his Ihram, two white sheets that are representing his funeral shroud. Every action in the Hajj, every step in the Hajj, it has significance. And that is why the person who performs the Hajj properly, he comes back free of sins. Because it is as though he has given up from his life and he has a new life for Allah swt sake. But, are the 21st century Muslims thinking like this? So which Hajj is being made today? That real Hajj that Hz Hujwiri is describing? or that fake Hajj, that is an aimless and a vain show? If we ask ourselves sincerely, we get the answer. Salim reported on the authority of his father (‘Abdullah b. ‘Umar) that the Apostle of Allah (may peace be upon him) was asked what a Muhrim should wear, whereupon he said: A Muhrim should not wear a shirt, or a turban, or a cap, or trousers, or a cloth touched with wars or with saffron, nor (should he wear) stock- ings, but in case he does not find shoes, but (before wearing stockings) be should trim them (in such a way) that these should become lower than the ankles. Narrated ‘Abdullah bin Abbas : Al-Fadl (his brother) was riding behind Allah’s Apostle and a woman from the tribe of Khath’am came and Al-Fadl started looking at her and she started looking at him. The Prophet turned Al-Fadl’s face to the other side. The woman said, “O Allah’s Apostle! The obligation of Hajj enjoined by Allah on His devotees has become due on my father and he is old and weak, and he cannot sit firm on the Mount; may I perform Hajj on his behalf?” The Prophet replied, “Yes, you may.” That happened during the Hajj-al-Wida (of the Prophet ). Narrated Aqra’ ibn Habib: Ibn Abbas said: Aqra’ ibn Habis asked the Prophet (peace_be_upon_him) saying: Apostle of Allah hajj is to be performed annually or only once? He replied: Only once, and if anyone performs it more often, he performs a supererogatory act. You need someone to show you yourself. Because you cannot see yourself. Man can see everything in creation, Allah has created these eyes. Man can see everything with these eyes. But he cannot see himself. He can see everyone, but if he doesn’t see a reflection, a mirror, he doesn’t know what he looks like. Something for a man to think about. And if your spirit is very important to you. You must see your spirit. But how are you going to see your spirit? You cannot even see your physical form. So you need a reflection. You need a mirror. You need someone who is going to hold you your pure reflection. Not a broken mirror. Not something that is twisted. That is the role of the Prophets. That is the role of the waris, the inheritors, the Awliyah Allah. They are going to show you. Maybe you are going to see something there that you don’t like, definitely, because majority now entering to tarikats, thinking that they are already saints. Thinking that they are very special people. Or that they are entering to tarikat thinking that they are royalty. Or thinking that they have some special connection to the spiritual world. ‘Huh, really?’ Immediately they believe. ‘What can I do? What should I do now?’ They are running. But for the cancer of the spirit, so many are denying, ‘What? me? I have this? No, I don’t.’ They are fighting with the Sheykhs. Huh. Now we are getting into really big problems. Our beloved Hoja Effendi has spoken the truth. There is no doubt in it. How can you follow religion without a true guide? If you do not know your own self, your soul your spirit (rooh), that is your real existence . then how can you claim that you can know Quran and knowledge of others? Your own self (Nafs and Rooh) body and spirit is with you 24 hours, Soul except when you sleep!. And you do not even know yourself!. Do you know how many spots in your back head without the help of someone? So if you do not know yourself(your soul), then you are not fit to be followed, you cannot follow your own self in your deen matters (religion). And no part of your life is excluded from your religion!. 17.36. Do not follow that of which you have no knowledge (whether it is good or bad), and refrain from groundless assertions and conjectures. Surely the hearing, the sight, and the heart – each of these is subject to questioning about it (you are answerable, and will be called to account, for each of these on the Day of Judgment). You cannot even follow yourself , because you still do not know yourself!!! This is why you cannot depend on yourself in the Path of Haqq. You need a Shaykh, even if you learnt all sciences and religious books by heart, you are still corrupt!. You need a qualified trainer (Murshid Kaamil) to train you and prepare you for the journey to Allah and Rasool alaihiswalathu wa salam. Does not Hadith say, when you travel appoint a leader on you? So who is your leader in the journey (migration to Allah and Rasool alaihiswalathu wa salam)? That is the leader (Imam, spiritual guide) Allah asking you to seek in Sura Isra verse 80. They are the Muttaqeen and they are the guided ones and they are guided by those who are in the grace of Allah. Quran 1:7 The way of those on whom Thou hast bestowed Thy Grace, those whose (portion) is not wrath, and who go not astray. They are those who are the Imams and Shyakhs of ahlul bayt up on the greater majority of Muslims and the Imams they followed them. Q&AHow do you know which ‘movement’ will bring the Ummah to Mahdi and Khilafat? How do you know which ‘movement’ will bring the Ummah to Mahdi and Khilafat? QUESTION: There are many movements trying to bring back the Khilafat, some of the movements are rather aggressive. How do we know which of these movements is the right one? 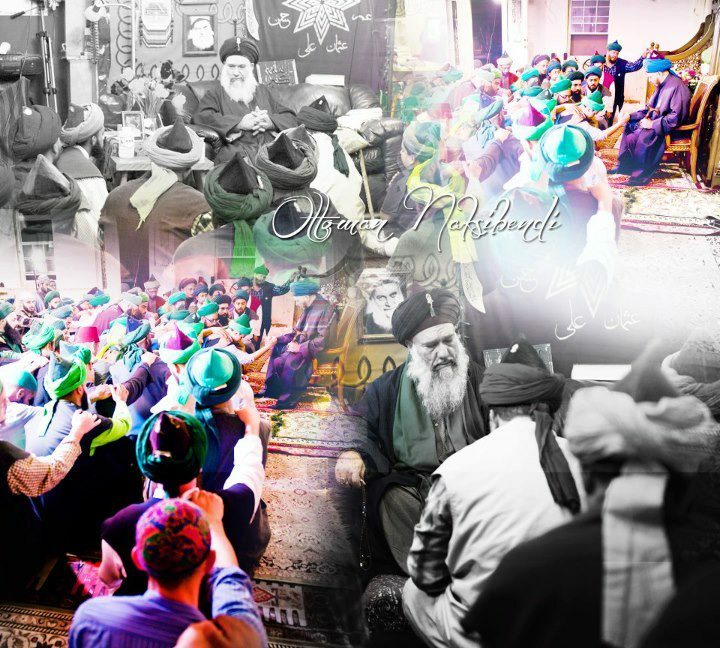 What is the sign to look for, for us to know that this movement is the one that will bring the Ummah to Mahdi (as)? Alhamdulillah. It is good. People are waking up and understanding and accepting Hazreti Mahdi (a.s) that he’s coming back. Because so many Muslims, they are not believing in that. I’m saying, because the head leads the body. If you got a good head, the body will be good. You’ve got a bad head, then the whole body is going to be bad. Fix the head. That time you don’t have to fix anything else. Fix the head and these millions of people following the head, they will be alright. But if the head is rotten, they are going to lead all these millions now to Jahannam. Which planet you live on? Really? Sheytan has fooled you that much? ‘No, this is Paradise, we are living in the time of Isa,’ they go one step forward now. MashaAllah, whatever happen to Syria now? They are living in Paradise? What happened in Chechenistan? Whatever happened in the whole Middle East? What happened in South East Asia? What happened to everywhere in the world? What happen to the system of dajjal that everyone is being poisoned daily with everything that we are ready to blow up and destroy this whole planet and ten planets like this, from the top to the bottom, everyone is in confusion, and we are living in the time of Mahdi and Isa? This is Paradise? So we come, we entered, we are already in it. We are thick in it, of that time. There are so many movements now, Alhamdulillah, that they are believing in Hazreti Mahdi and believing that we are living in the end of time. Major signs, they have happened, and they are believing in Khilafat. We believe in the Khilafat too. So many groups may believe in Khilafat. How do we know that it is right and which one to follow? I will say follow any one of them. It’s okay. But sit down and think and understand what is it that they are really believing and what is it that they are really following? Number one, any Khilafat movement that is pulling the idea of Khilafat away from the Ottomans, big ‘X’ to that. Out…! The Khalifah is going to come. InsyaAllah he will come soon. But understand that the Khalifah is going to come not because a couple of people, hundreds of thousands of people coming together in a group and they are electing the Khalifah. It is not because of that. Or because they are saying and they want. No it’s not because of that. The Khalifah is going to be appointed from the heavens. The Awliya Allah, they will pull him out. He has already been chosen, anyway. He is behind the veils, preparing. So, the Khalifah now, he has to come. What is the Khalifah going to bring? Those who deviate from this, there’s not going to be any unity. You are not saying, then you don’t belong to the circle, then you must be removed from here. It is ‘La Ilaha Illallah Muhammadur Rasulullah’ only. Not, La Ilaha Illallah Muhammadur Rasulullah Ali waliullah too. And so many other ones, they are making different interpretations of Islam. Because now we have more than 72 groups of Islam. They are going to say, ‘either accept this or not. You are not accepting, then you are going to be out.’ And they are going to remove you. Out…! They are not going to say to this Wahhabi sheytans, ‘oh come my brothers.’ Khalifah is not going to say. Khalifah is not going to say that. He is going to remove them. So many other groups, name who they are. Yes, that group that is following Hazreti Mahdi (a.s), that is following the Khalifah, is going to be small. What is the Khalifah going to bring? He is going to bring Shariatullah. He is going to bring the Sunnah of the Prophet (asws). He is going to bring the forgotten practices of the Prophet (asws). The Khalifah that time, is going to bring everyone from the whole world that believes in the Kalimatuh Syahada and believes in the Ahlil Sunnah akidah properly, and he is going to gather them and prepare them. We are not doing it. He is going to do it. Any group that is going to awaken that feeling of Khilafat, is good. But nothing more than that. There is no permission to do anything more than that. Sit and make zikir. Read and understand your own Sultans. Read and understand your own Kings. Read and understand the Khilafat. 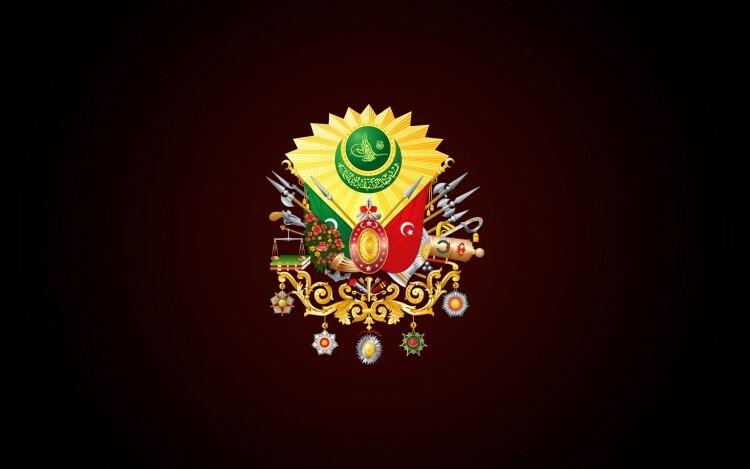 Read and understand and be with those ones who is carrying the blood of the Khalifah and the blood of the Ottomans and who are teaching you about the Ottomans, to connect you to the Ottomans. That Holy Prophet has praised the Ottomans, Sultan Mehmet Fatih Khan Hz, praising him, he is the best of the generals and his army is the best of an army. Holy Prophet is praising them. Connect to that History. Find groups that is connected to the Osmanli, then that time you’ll be okay. But it’s not just that now. Any movements have to be supported Heavenly. They have to be supported by the Sultan-ul Awliya. If it is not supported by the Saints, as there are so many other groups that is calling for the Khalifah but they don’t believe so much in the Ahlil Sunnah akidah, meaning they don’t believe in Holy Prophet (asws), in his reality, that he is Hazir and Nazir for instance that we go to his tombs to ask him, and we are asking for his intercession and they don’t believe in all of that, but they believe in Khalifah, put a question mark there. Khalifah is something else, the khilafat something else. But what is underneath the khilafat, what is underneath, what was underneath the Ottomans for seven hundred years that they were able to carry Islam and bring Islam into the heart of Europe and break the backbones of the shi’is. What was that? What was the backbone? It is the love of the Holy Prophet (asws). And they were an Empire of Tarikat, of Sufism, that the Sultans have Sheykhs. All the Sultans, they are high level Awliya anyway, but they all have Sheykhs and all of them in their own rights, they are also Sheykhs on top of being a Sultan. And everyone in the empire, they were following Sheykhs. It was Tarikat and Islam and Tasawwuf that was supporting the Khilafat, the Ottomans. If you take that spiritual support, the heavenly support of the Awliyas, and you just have the Khilafat movement, one day it is going to fall. It is not complete. It is empty and if it is not supported heavenly, then ego and sheytan may enter to bring it to a different understanding. So, Khilafat movement is okay. It’s good. Must connect itself with Tarikat. Must connect itself with Nakshibendi Tarikat. Must connect itself to Osmanli Nakshibendi Tarikat. Then that time, it is going to be proper now because things will be balanced. Because understanding the Khalifah and the Khilafat also is not just through reading books. No, there’s no books out there that is going to give proper information anyway, but it has to be knowledge that is pass down from heart to heart, and people who have in their veins the blood of the Ottomans and descendent of the Ottomans, and the Sultans and the Padishahs and the Khalifahs, like our SahibulSaif is. And we live in countries that is ruled maybe not by Shariat, we have no problems with that. We are not saying and we are not taking up arms or doing things to bring the system down. We are not. We don’t believe in the system. Yes. We have the right to believe what we believe in, isn’t it? We don’t believe in the system of democracy. Yes. We don’t believe in the system of communism, fascism, whatever that you are putting out there, any ‘ism’ , except for Islam. We believe in Islam, we don’t believe in any other system. That is our right as a human. But, we are not going to be standing and defying the laws of the country. That’s not the way. The system is going to fall through the heavenly power, for us to get that heavenly power, we have to sit down and we have to make as much ibadah and zikir as we can, connect ourselves to Awliyah Allah, prepare ourselves, loving the khilafat, loving Islam, loving the sunnats, then that time we’ll be ready. InsyaAllah ar-Rahman. You don’t enter into Tarikat to think that you have entered into Jannat. So many people, they have this idea that they enter into Tarikat and, ‘Oh, we are in Jannat. So peaceful, so nice. Nirvana.’ They are thinking that, because that’s what they are reading (from books about Tarikat). Real tarikat has to shake you. It has to. Real tarikat, everything has to come down on top of your head. That is what real tarikat is. Because now, what is it doing? It is going to destroy the falsehood, you are building up a false existence, and it must destroy. It must beat it up. You are making false idols, it must destroy, it must beat it up. You are making false ideas, your whole life you are making up idols, outside and inside, it has to be destroyed now. Of course it is going to hurt. It is not too much. Allah will not test you something that you cannot carry. And you are going in the way of Tarikat, especially Tarikat-ul Evliya, the highest most distinguished Tarikat, this is what you are supposed to feel. You can say, I’m not going to argue with you. As you like. You follow that kind of teaching, as you like. There’s so many teachings within this Tarikat. We follow, Alhamdulillahi rabbil alameen, we follow SahibulSaif’s teachings, according to Sultan-ul Awliya. And that’s what we are a taking our guidance from. Once you enter into real Tarikat, they are going to break everything. If you are sincere, they will. This is the greatest struggle. Now you are going to struggle with yourself. You are going to struggle with everything. Good, It is good. Then that’s the time you are going to discover yourself. You are going to discover yourself; why yourself? how yourself? who is yourself? All these questions you are going to ask, because now, they are forcing you to ask. All these different thoughts are going to come and you think, ‘oh, I’m such a nice person, I’m such a peaceful person,’ but they touch you a little bit, things come crushing down, and all these thoughts come to you. Where these thoughts come from? From outside? NO, from inside. So, you have such a high opinion of yourself before, now you understand the reality. Now you understand the reality of your ego.